Marissa Mayer has said she wants the company to focus on consumers' "daily habits" in order to make products that will become a part of users' routines. In the longstanding battle of Yahoo vs. Google, score one for the underdog. For the first time in more than two years, Yahoo sites were the most visited in the country in July, according to a monthly report from comScore, which tracks unique visitors to U.S. properties across the Web. With 196.6 million visitors to 192.3 million who visited Google properties, Yahoo (YHOO) bested its competitor, which has long held onto the top spot, for the first time since May 2011. Yahoo's unique visitors were up by roughly 20% compared to July of last year, when it came in third behind Google and Microsoft (MSFT), according to comScore. July's no. 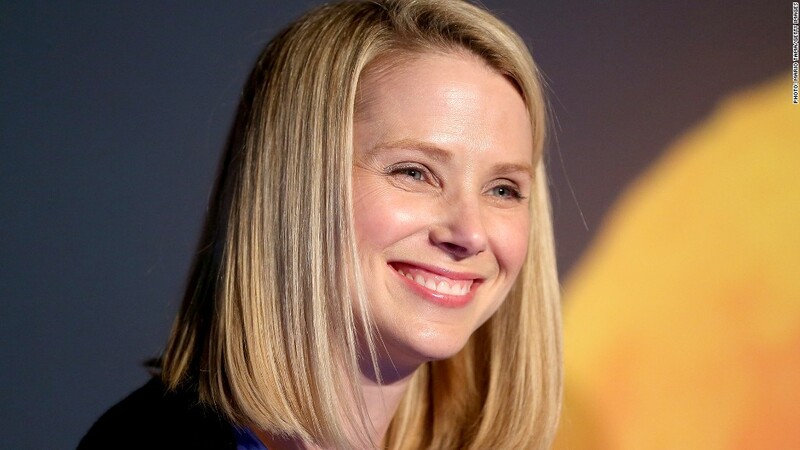 1 spot is a notable win for Yahoo CEO Marissa Mayer, who has made a number of changes since taking over the troubled company last July. Yahoo did not respond to a request for comment. The comScore report is inclusive of desktop traffic only. A more comprehensive report is due out next week. Though Google typically beats Yahoo handily in mobile traffic, Mayer has noted that Yahoo has seen a recent uptick in mobile. Since Mayer took the reins, the Sunnyvale, Calif.-based company has acquired more than a dozen start-ups, most notably Tumblr, and revamped a number of the sites. Traffic for Tumblr -- which was the web's 28th most popular U.S. property in July, according to the report -- did not directly contribute to Yahoo's visitor tally, said Andrew Lipsman, comScore's vice president of industry analysis. In an earnings call last month, Mayer noted that Yahoo page views were rising after more than a year of declines, citing recently refreshed versions of Yahoo mail, weather, sports, news and Tumblr, both on desktop and mobile. The revamped Yahoo mail app for tablets, for instance, brought a 120% increase in daily active Yahoo mail users, according to the company. Mayer has repeatedly said that she wants the company to focus on consumers' "daily habits" in order to make products that will become a part of users' routines. Yahoo's stock was down slightly Wednesday, but is up more than 80% from a year ago.